Welcome to Colonial Condo! Stay inside a safe and secure apartment building downtown! Welcome to your hip and spacious apartment! The living room has great views of historic Savannah. 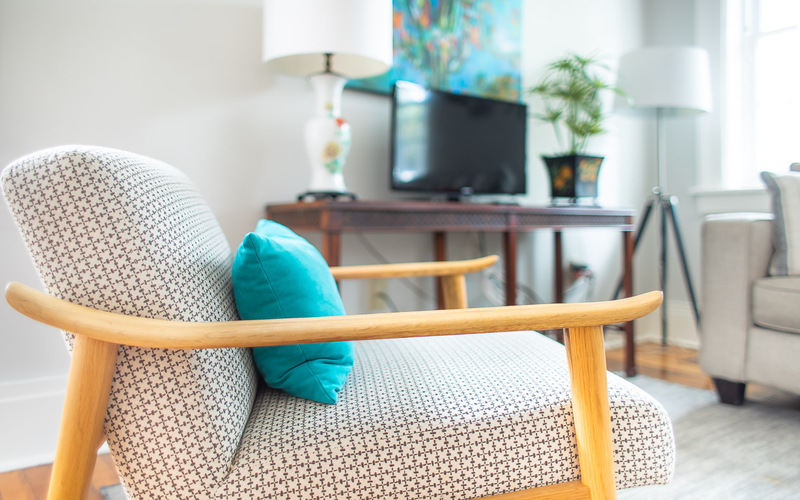 Kick back and unwind with your favorite TV shows. View of the living room. The sofa turns into a Queen sleeper sofa. The living area is open to the kitchen. All the space you need to feel at home. Plenty of bar space to catch up with old friends. Grab a bite at the kitchen counter. Ideal for entertaining. The full kitchen has every essential. Prepare your morning coffee or a quick breakfast. Sip a glass of wine with friends. The bedroom is directly behind the kitchen. Guests enjoy a Queen size bed. The bedroom is open to the rest of the home. The perfect place to get ready for a night out. The bath is en suite to the bedroom. Enjoy the spacious full bath. A tub/shower combination is ideal for young families. Extra wide vanity space makes sharing easy. View of the front entrance. This home is right in the heart of everything. 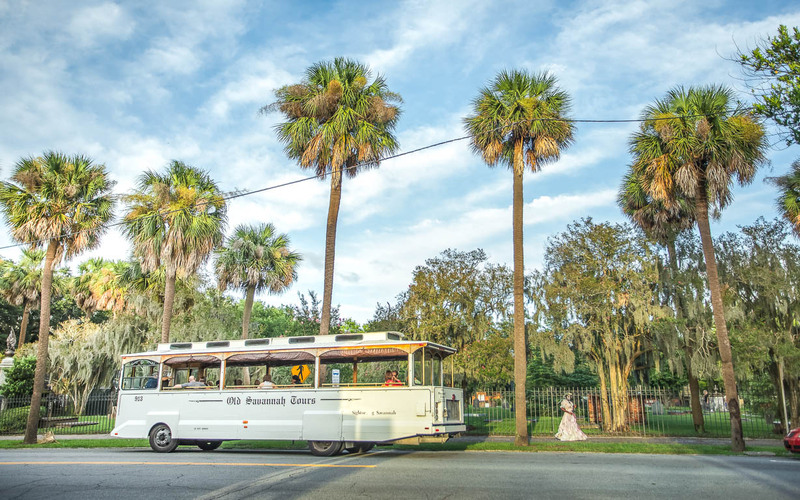 Set foot towards Savannah's main attractions, or catch a trolley. A public playground is just across the street. Explore Colonial Park Cemetery. 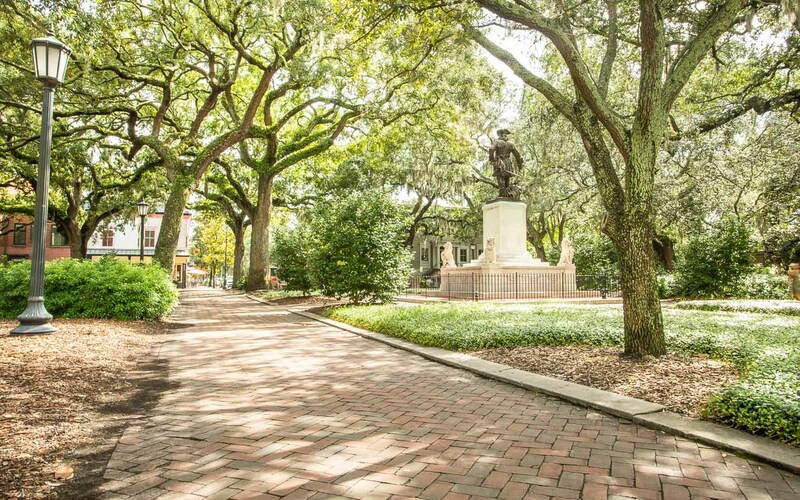 Savannah's fascinating history is all around you. 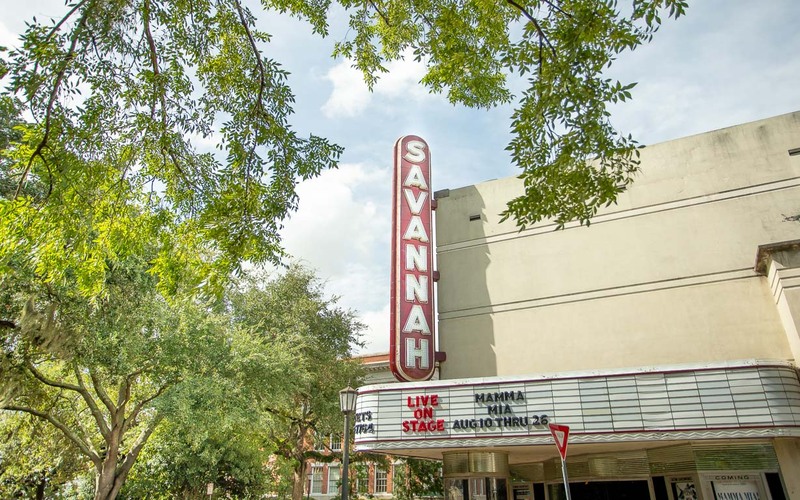 Catch a show at the Savannah Theater. Walk through downtown's lush squares. 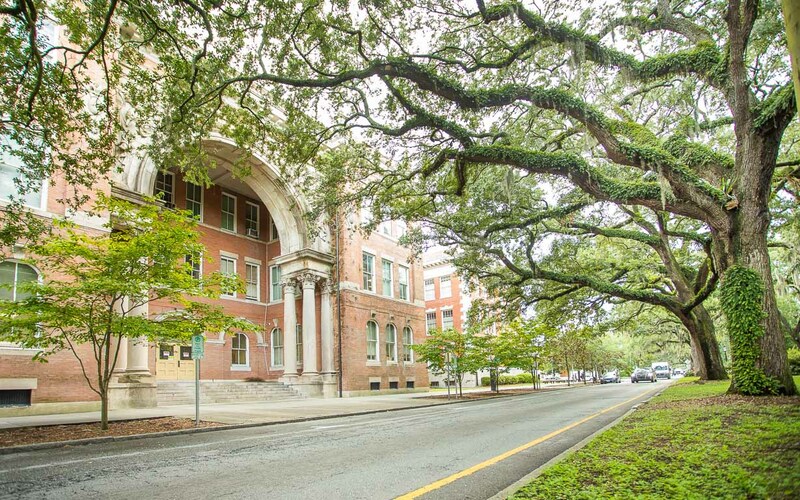 Beautiful Savannah awaits! 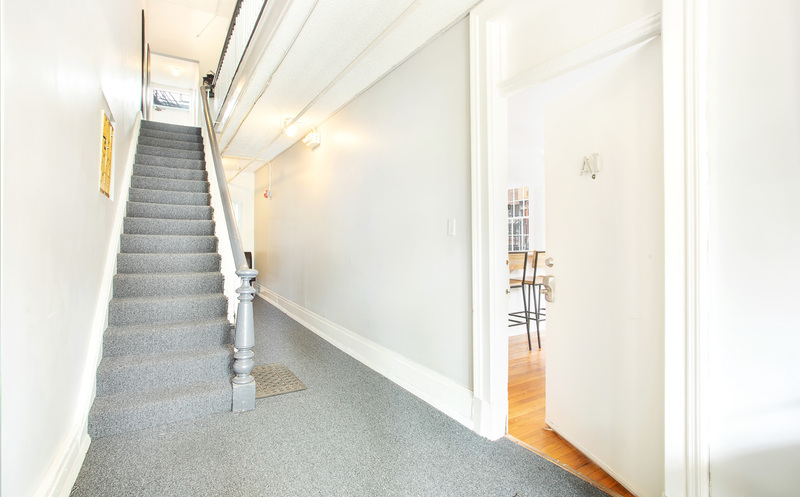 Up to four Lucky guests can call this bright and airy one-bedroom apartment, "home". 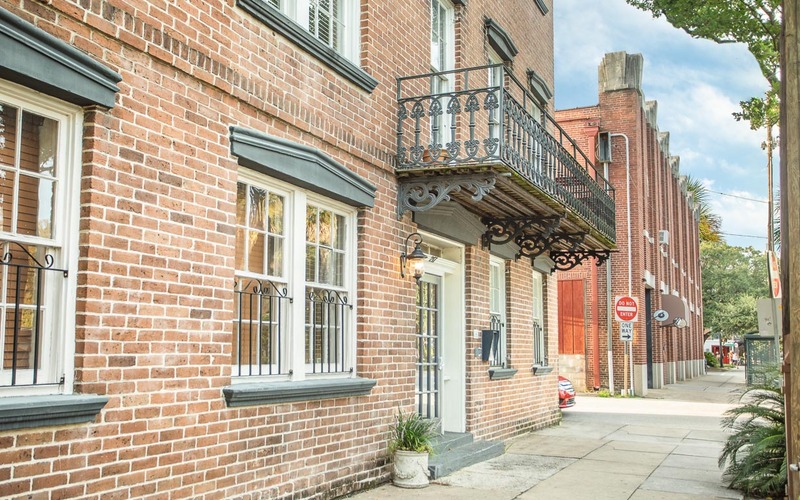 Located at Abercorn and Oglethorpe Street, this garden-level apartment features a secure, double entry and prime location. Guests enter into the colorful living room with ample places to sit and unwind, including a sofa that turns into a Queen sleeper. Start your day watching the weather channel and prepare a pot of locally-sourced coffee before setting out to see the sights. It's common to hear the clip-clop of horse-drawn carriages throughout the day. The kitchen opens up to the living area with bar seating; the perfect place to perch with a glass of wine or to eat a quick bite each morning. Fully equipped with the exception of a dishwasher, the kitchen has everything you'd need to prepare a meal or store leftovers from one of Savannah's incredible eateries! Just behind the kitchen is the bedroom, open to yet private from the rest of the apartment. A queen size bed with hotel-grade linens awaits you, and a writing desk is ideal for those tied to their work while traveling. The full bath is en suite and features a tub/shower combination and extra-wide vanity, newly renovated with plenty of storage space for you to unpack. A coin-operated washer/dryer is available to all tenants of this building. For young families, the public playground located just across the street will be your favorite pass-time in between tours and meals. 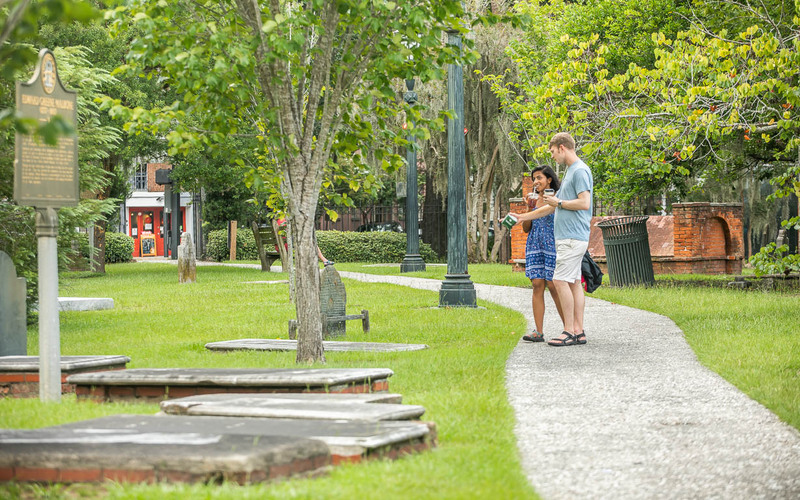 Get a feel for Savannah's spooky side and walk through the Colonial Park Cemetery, with tombstones that date as far back as 1750. 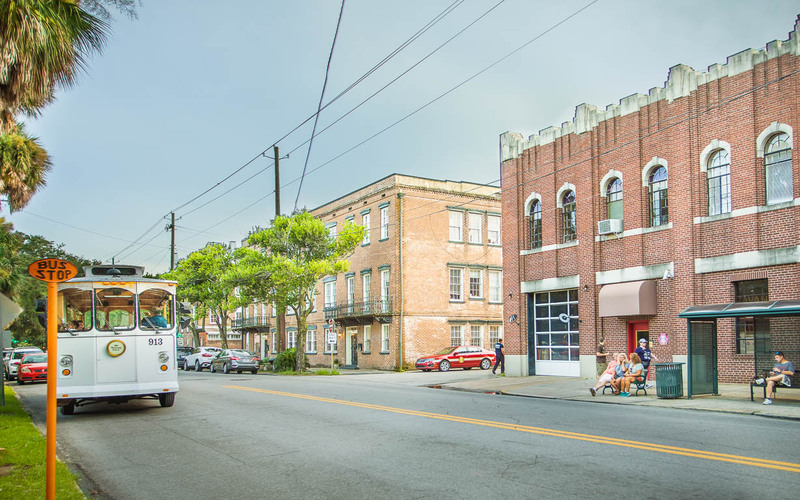 For those looking to take home more than a history lesson, head North three blocks to Savannah's retail hub: Broughton Street. You'll want to step into The Paris Market Brocante and grab a macaron at their cafe, taste local honey comb at Savannah Bee Company, or check out national brands such as Anthropologie and H&M. River Street is a great place to watch the sunset, and is only a 5 minute walk from Ace Retreat. Be sure to grab a hot praline from River Street Sweets, and hang out by the river front as massive cargo ships sail by. 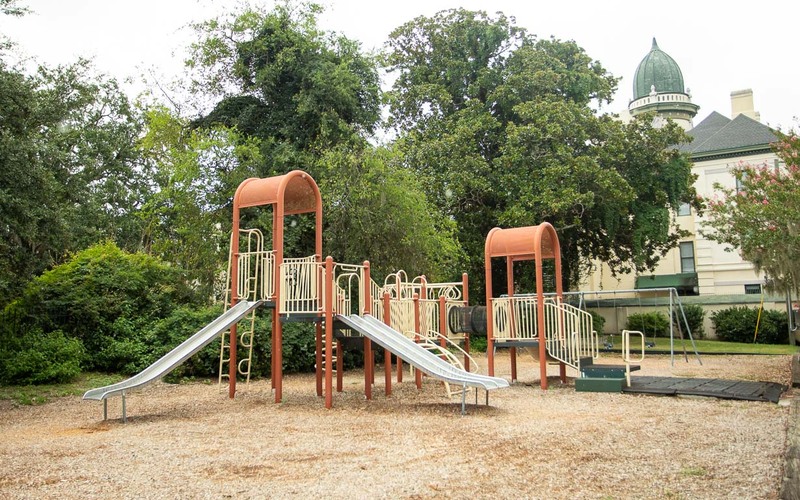 For those traveling with littles, you'll want to spend an afternoon at the Savannah Children's Museum, or in the warmer months, let them run wild through the spray grounds at Ellis Square, adjacent to City Market. 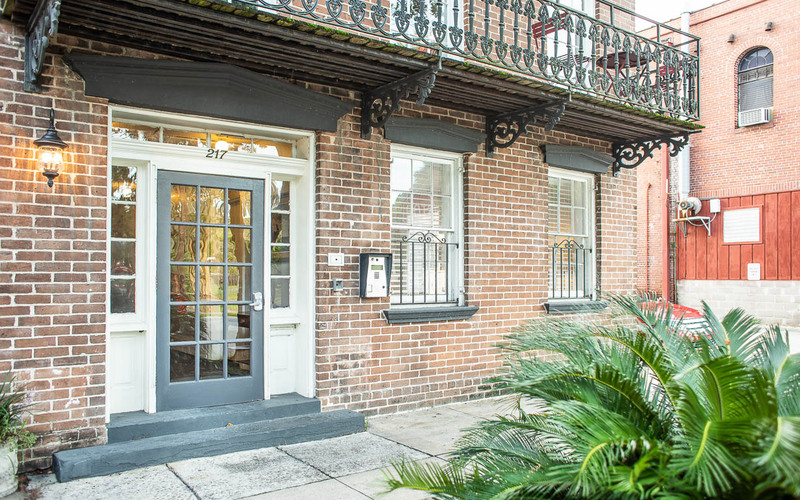 Whether you're a return traveler to Savannah or if this is your first time exploring our beautiful city, Colonial Condo is in an ideal location you'll want to return to time and again. Parking for this home is on-street and metered, which is enforced by the City of Savannah between Monday and Saturday from 8am to 8pm. Guests are encouraged to purchase a multi-day parking pass from the Savannah Visitor's Center before their arrival. Please be conscious of the posted Sweep Zone signs.